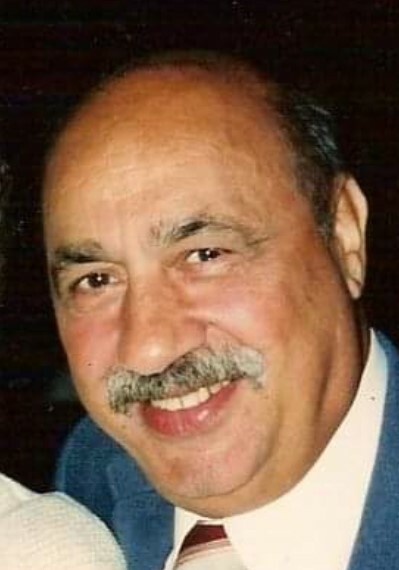 Joseph Paul Quattrone Sr. of Steubenville died peacefully at home on Monday, April 15th 2019. He was born in the village of Arci in southern Italy (Reggio Calabria) on September 22,1925, the son of the late Cosimo and Elenora Tegano Quattrone. He is preceded in death by the love of his life and partner in crime for 53 years of marriage, Dorothy Kanoski Quattrone; his beloved brothers John and Paul; sisters Rose and Vera; infant daughter Mary Jo; and his late life companion who brought much happiness, Mary Sue Hodovanic. Joe was a proud graduate of Steubenville High School and the College of Steubenville. He taught school for over 42 years at Steubenville High School. A passion for helping students in need learn life skills moved him into Special Education and became his legacy in life. He was a long term timekeeper for Big Red Basketball and got to run the clock for the state finals as a testament to his ability and integrity. Joe loved his family and invested himself in their lives completely, teaching them values, providing guidance, showing love, involving them in all activities, travel, and being available whenever they needed him. He was especially proud of his grandchildren. A lifelong fan on Notre Dame Football and St. Louis Cardinal Baseball; favorite hobbies were bowling and fishing. His favorite places to travel were Las Vegas, the beach and the mountains. He is survived by the joys of his life; son William (Anne-Michelle), grandchildren Helen, William Jr, and Elizabeth; son Joe Jr (Janice), his devoted son Paul, who was his caretaker for the last 15 years and who’s efforts are so greatly appreciated (companion Joanna Wilson); his nephew Vince Pino and niece Nancy Quattrone Berisford, and the many nieces and nephews and family in Ridgeway PA.
Joe’s kindness and amazing personality have touched many lives over 93 years and will always be a warm memory for all. Calling hours will be Thursday from 3-7 pm at the Mosti Funeral Home, Sunset Chapel, 4435 Sunset Blvd., Steubenville. Burial will take place at a later date in Mt. Calvary Cemetery.